When it comes to automobiles, Honda is not an unrecognized name. Japan based multi- national corporation Honda Motor Co. has worked very hard since 1959 when it started its first motorcycle manufacturing and combustion engine manufacturing. Many luxury cars have hit the road after being manufactured by Honda. Notable names are Honda CR-Z, CR-V, Accord, Civic and many more. Honda’s contribution to the automobile market has been a major one and it has once again stepped up to present a mobility device that ought to be remembered for a long time for its uniqueness. 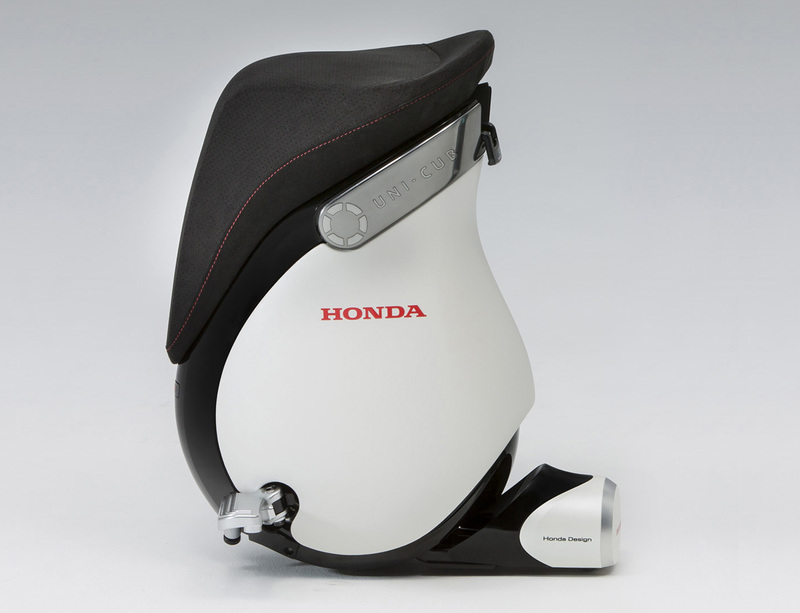 In the year 2012 Honda released its first ever UNI- CUB mobility stool and now they have Produced its Beta version which is much more light and compact. The earlier version of UNI- CUB had been displayed at various technological conferences and centers all around the globe and Honda is now targeting to sell it among the masses. The UNI- CUB also stole the spotlight of Tokyo Motor Show. The UNI-CUB β is supported by a lithium-ion battery and has a range of 5.9 km. Honda has also considered the effect it will produce on the environment and so they have made it completely eco- friendly, UNI- CUB is electrically charged which eradicated the use of conventional fuels and does not contribute at all to the rising levels of pollution. It can attain a top speed of 5.9 km/h. Though the speed factor is not so great but it would be too harsh to judge it on a single parameter. Besides, it is fit for personal use and can save a lot of trouble. No more getting tired standing in long queues and a ride along the park will be so much fun also. The UNI-CUB Beta is smaller and lighter than the original. It uses the same type of balance control technology and omni directional driving wheel system to help users get around in any direction on a little body leaning gesture. The technology inside the device allows the rider to move forward, backward, side-to-side, and diagonally by shifting their body weight on the device. The balance control technology is completely mind- blowing and its features are the result of Honda’s research into bipedal humanoid robots. Honda has been continuously experimenting the UNI-CUB in collaboration with Miraikan until their hard work resulted in the production of the improved version, UNI-CUB Beta. The UNI-CUB Beta then has been used by Miraikan’s staff within the building. So it is clear that Honda has thoroughly tested it and has ensured the security of its use. That might has cleared many speculation lingering in your mind regarding the damage that one can receive with a lower seating position, making it easier to use for a wider range of people. 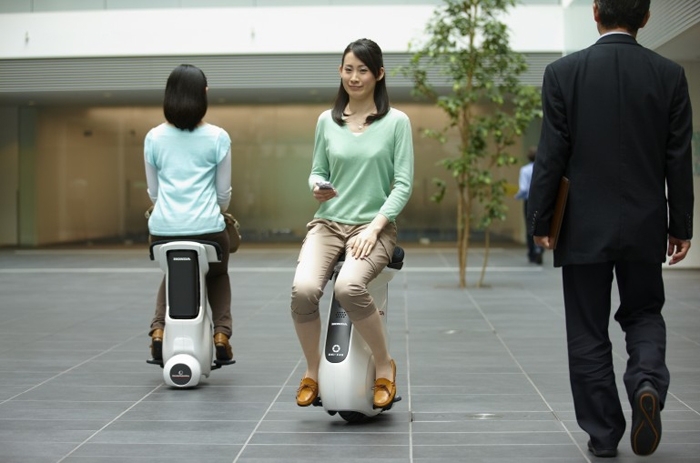 Additionally, Honda added a stand function, which disables the driving system so users can step onto it more easily and even use it as a stool. Since UNI-CUB β was designed for indoor use, softer materials were employed in the design to lessen the impact if it hits other people or objects. A softer seat makes the thing more comfortable for rolling around the office.